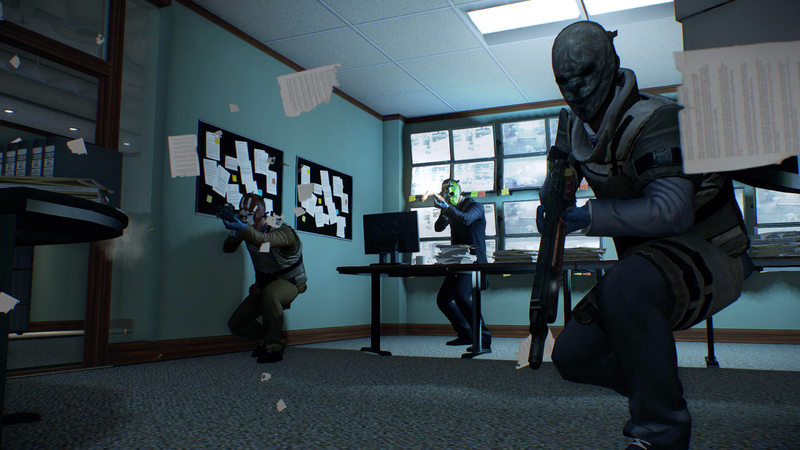 Last seen in 2011, Payday looks to make a return in its second installment promising more heists, more weapons and a whole new system to manage all this called Crime Net. 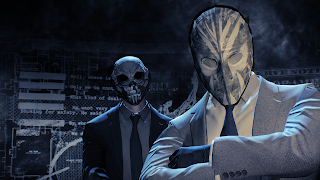 Last week I had the opportunity to spend some time with the upcoming game and engage in what was an epic bank heist with three other players. Before jumping into the main chunk of the game, I was able to take a look into the way you’d be able to customise your character before starting the heist. You can choose your weapon loadouts, the kind of mask you wanted to wear and other tidbits which you felt would be useful to you during a mission. So with the preparations done, it was now time to jump in and being a first time player of Payday, it definitely didn't go as I expected. I look cool... don't I? I teamed up with three other players and our job was a classic bank heist where we infiltrate the bank, grab the gold from the vault and make a getaway via our van in the alleyway. In order to accomplish this we needed to work together as a unit and make sure to complete our individual tasks, while at the same time, backing each other up when needed. The key here is how effectively you can communicate with your team to complete a job successfully. I know during the first run of the bank heist; we were kind of all over the place. No one knew what they were doing and so very quickly, we were taken down by the armed forces. The second time we gave it a go, things ran a lot more smoothly. Targets were taken out with a lot less noise and we had someone breaking into the vault while the others backed him up. Essentially this ended up with us being taken down multiple times, however when it was all said and done, there was one person who eventually made it to the van with a bag of gold and that person was me. Its all about the teamwork. 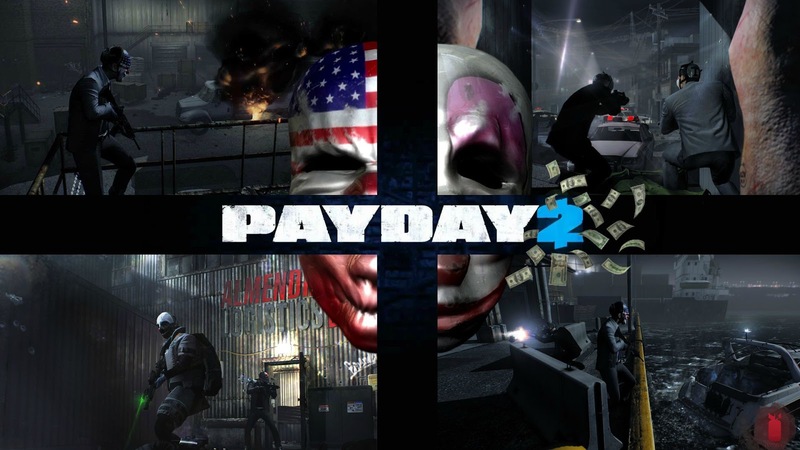 What makes Payday so great is that there is more than one option in terms of completing a mission. The level itself provides you the tools to properly prepare and execute a plan to complete it, however how you go about it is completely up to you. Will you make use of the roof to scope out potential targets or use the security room to find all the patrol routes for the guards? There seems to be a good variety here but fear not impatient ones as you still have the option to go in all guns blazing should you wish to, although that would make things a lot more difficult. 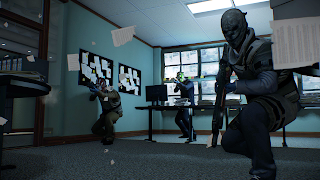 Payday 2 looks to be an incredibly fun co-op game that brings with it, a huge amount of satisfaction after completing a mission, but can also destroy friendships due to miscommunication and failed heists… kind of. I liked how even before you get into the game, you’re already planning and strategising with your team concerning who should do what and who should carry what item, for example; I carried an ammo bag, so when we were running low, I could drop it for the others to reload their weapons. With DLC planned for the months following its release, Payday 2 looks to keep players engaged for a long time to come. The game is scheduled to be released on 13th August for PlayStation 3, Xbox 360 and Windows PC, so I definitely recommend you check it out.